Fig. 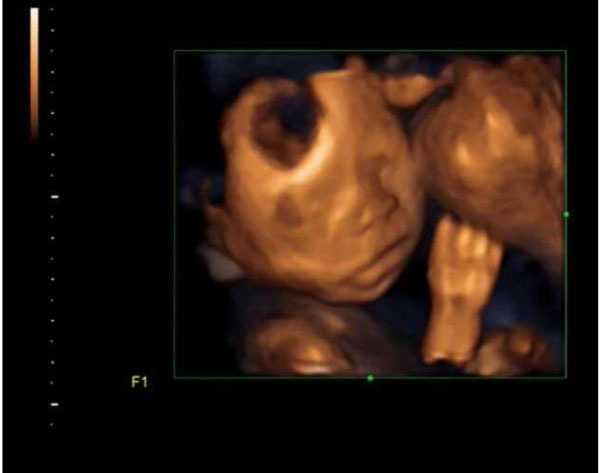 (3II) Successful 4D Ultrasound Imaging of Fetal Face with clear facial features Post 30 minutes of walking in that same Group B patient as in picture 2. [I].